Want to Make Video Calls On Skype but don’t have Webcam? If Yes, then this Article is for you, cause in this Article, I’m going to Share How you can Use Smartphone As Webcam. If you don’t have Webcam, you don’t need to spend extra charge for purchasing a new Webcam as you can easily use your Android Smartphone as Webcam. The process is simple, you just want to stream your phone to your PC. 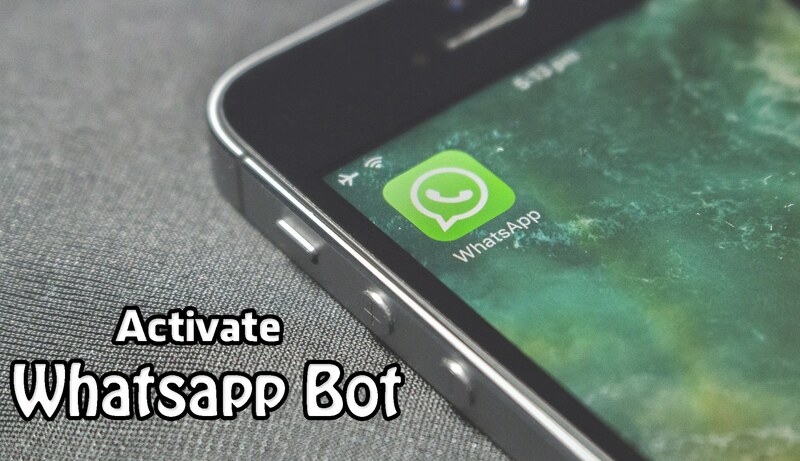 There are many Apps on Play Store which will help you to do so. 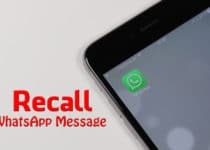 You can say it works like Screen Recorder where your Android screen is captured live on your PC with the help of these Apps. There are many Best Android Apps using which you can easily Turn your Smartphone into Webcam but here I’m going to Share two Apps which will help you to convert your Smartphone to Webcam. In this Method, I’m going to Share two methods using which you can Use your Smartphone as a Webcam. 1 How To Use Smartphone As Webcam? 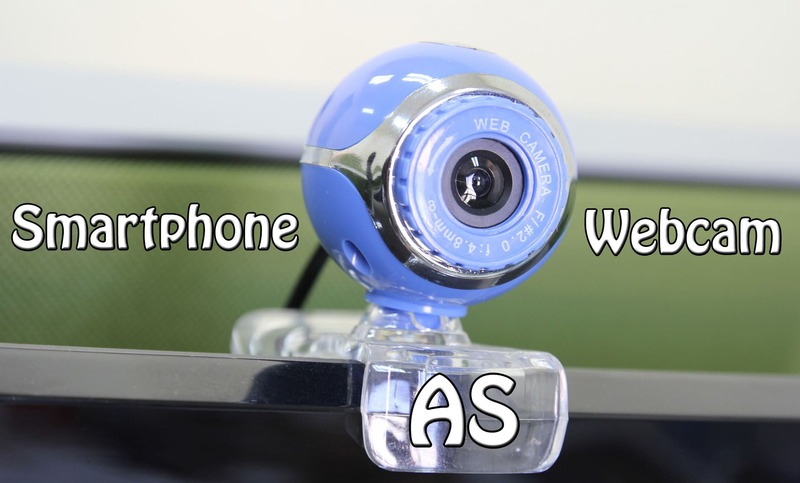 1.1 Method 1: How To Use Smartphone As Webcam Wirelessly? 1.2 Method 2: How To Use Smartphone As Webcam Via USB? How To Use Smartphone As Webcam? I’m going to Share two methods with the help of two Android Apps. You can Use your Smartphone as a Web camera using USB Cable or Wirelessly. Method 1: How To Use Smartphone As Webcam Wirelessly? Open the App & Configure your preferred settings OR keep the settings as it is. Adjust Video Quality from Video Preference. Now, Scroll Down & Click On Start Server & Click On Yes. It will automatically download video codec file within few minutes. Once downloading is done, your camera will be started automatically. On the Screen, you will find IP Address which you have to Enter on your PC. Now, you will be landed on the page shown in below image. Done! You have successfully used your Smartphone as Webcam. You can now easily render your Video from your PC. There are many options like Zoom, Stream Quality, Exposure compensation, etc. which you can adjust according to your needs. Method 2: How To Use Smartphone As Webcam Via USB? 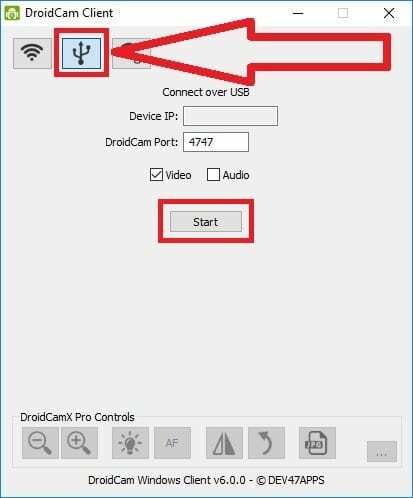 After Downloading, Extract & Install the Droidcam Client For Windows. Now, Connect your Smartphone to PC via USB Cable. Open the Droidcam Client from your PC. Now Select “USB” button & Click On Start. Done! Now your Phones camera will be opened and Droidcam will use it as Webcam. It has many options where you can Zoom In, Zoom Out, Rotate, and much more. This was the Article On How To Use Smartphone As Webcam. There are many Webcam For PC but this is one of the best ways. You can use these methods to Covert your Smartphone as Webcam Wirelessly & via USB. These Apps are Free to use & you can Download it from Play Store. They also have their pro version, which you can purchase if you want. If you want these Apps for Free then Do Check My Article On How To Get Free Google Play Credits. Hope you liked this Article On How To Use Smartphone As Webcam. Do Comment below if you have any query. Stay tuned with us for more latest Tricks & Updates.